HUB is a world-class transportation provider based in Downers Grove, IL, and considered the largest intermodal marketing company in the United States. 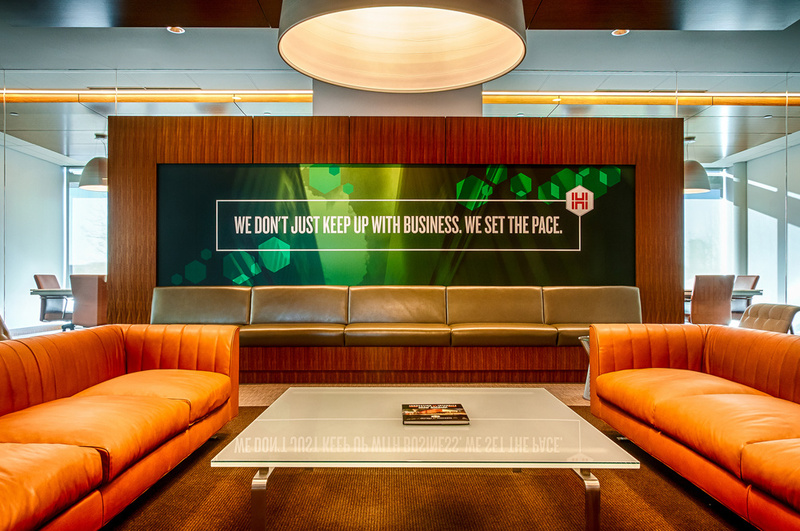 The project consisted of environmental wall graphics, wayfinding, office space design, and custom screen displays for their newly established headquarters. The concept for the brand was to take motion and movement and convey it through an aspect of time and destinations. Color coding each floor as a different time zone allowed the brand to come to life in a new way, bringing the motion from the road directly into the office space, creating a unique environment that resonates with the progressiveness and forward moving nature of HUB and its associates.